Humans have been particularly creative in finding new ways to reduce the particle size of food products. Solutions range from crushers, shredders and granulators, to hammer, ball and pin mills, air classifier or jet mills, colloid and corundum mills. Milling products became a huge part of our meals and play a crucial role in worldwide food industry. Sell milling products on Export Portal, reveal new methods to grow your export business without borders. Buy milling products on Export Portal, explore the best possibilities of the online shopping! Our website provides a wide range of milling food products which can be well-delivered in every corner of the planet. 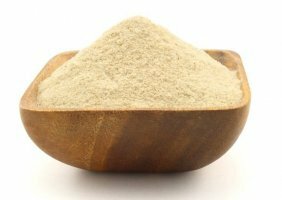 Fruit powders, biological fibers, fish powders, alginate, carrageenan, guar flours, vegetable powders, rice powders – are a small part of our large internet catalog. Build up your trade business on the largest internet portal. Buy and sell food and agricultural products on our website, expand your export and import deals, create strong partnerships! On Export Portal you can choose the best seller or manufacturer, who are going to displace you a range of products which stands up to your quality expectations. Export Portal – the best place for your Global presence!